What happened to Internet Explorer in Windows 10 April 2018 Update? Here is how to unlock it again, no hack required. Microsoft already introduced Edge as an alternative to Internet Explorer. 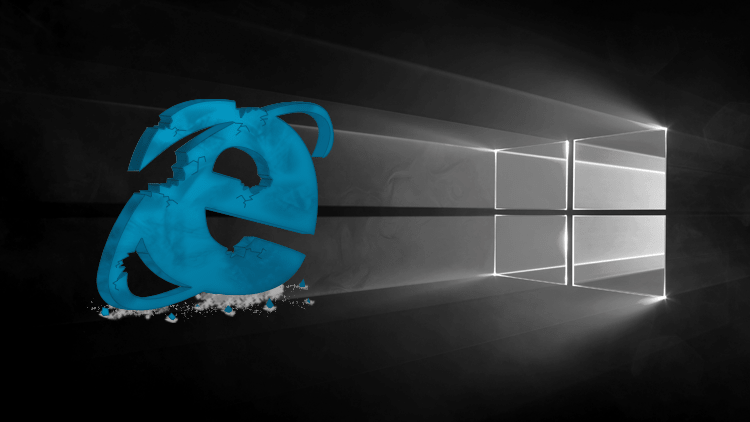 Starting with Windows 10, the Microsoft Edge is set to be the default browser and Internet Explorer as a secondary option (Available just for IE lovers). lovers. However, Internet Explorer lived in all the Windows 10 updates. Alas, we all know that good thing always has an end. 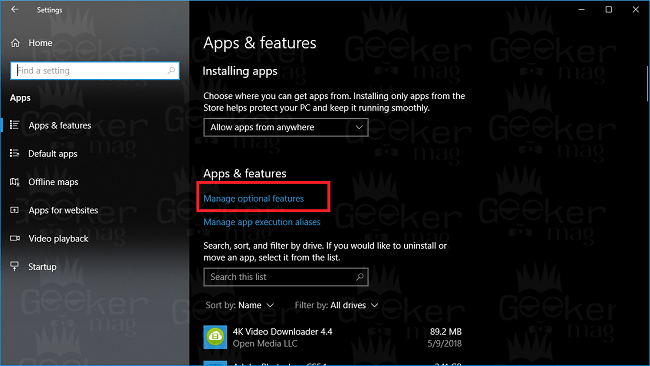 Starting with Windows 10 April 2018 Update, the company officially put Internet Explorer into Optional feature category. If you try to search Internet Explorer using Windows 10 Start menu search bar, unfortunately, nothing will appear in the search result. It is because the company has disabled Internet Explorer with default settings. But what if you’re a fan of Internet Explorer and want to use the browser? Well, you’re lucky. You can re-enable it without using any dangerous hack. 1. Launch Settings app. 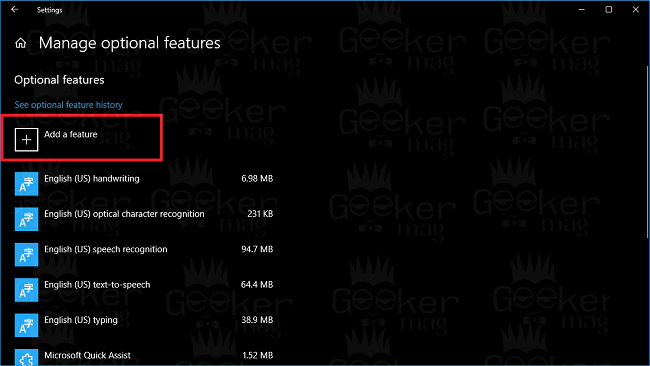 For that click on the Settings icon available on the taskbar. 2. Select Apps -> Apps & Features. 4. In the next screen, click on “Add a feature” button. 5. 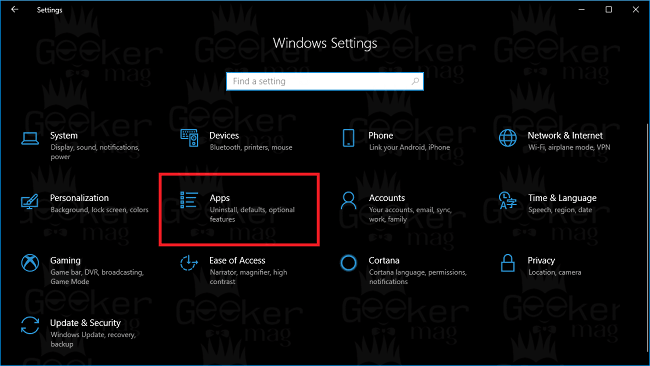 Here you will find out the list of all the Options features of Windows 10 which users can re-enable. 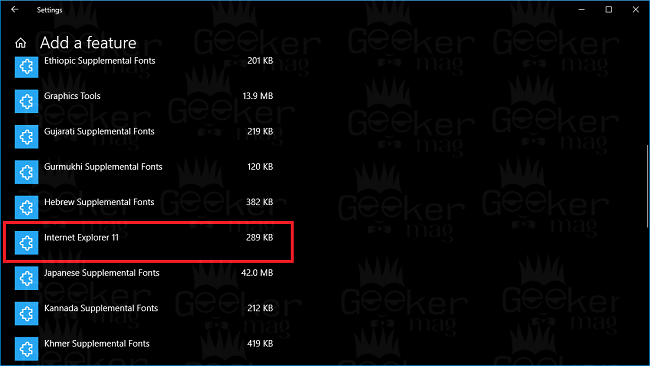 Scroll down and find out Internet Explorer 11. 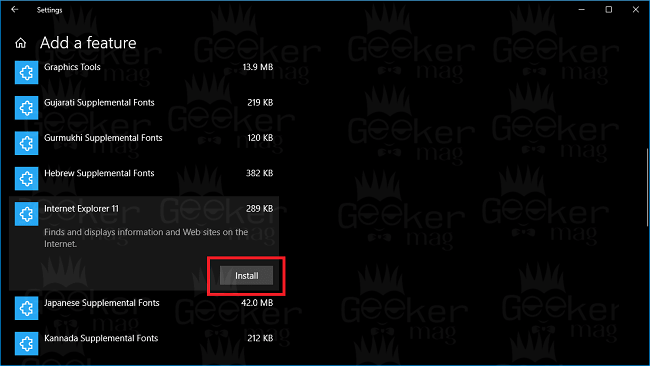 Click on Internet Explorer 11 and then click on the Install button. 6. Alas to apply the changes, you need to reboot your machine. Without it, Internet Explorer will not enable. At any point, if you think Internet Explorer 11 is not your cup of tea, then you can uninstall it just like any other application in Windows 10. I hope you find this blog post useful. Share your thoughts in the comments. Previous Post« Previous 5 Best StumbleUpon Alternatives, But Better!